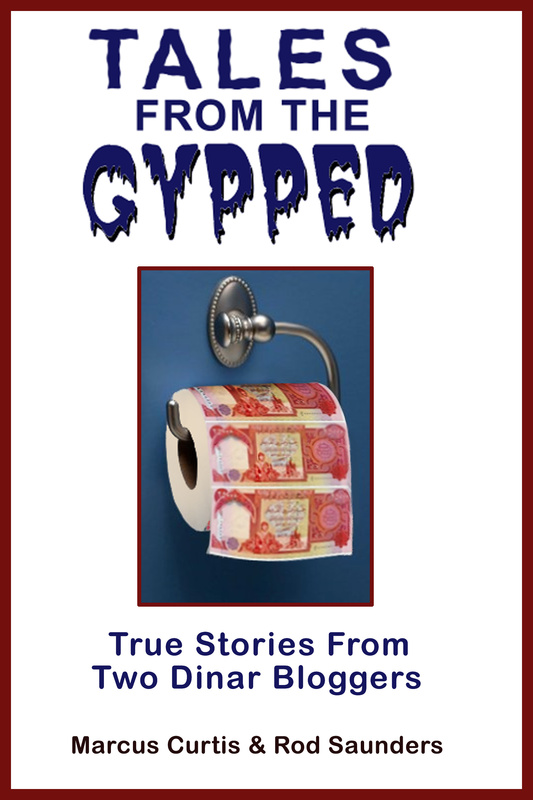 Since September of 2011 I have been blogging about the dinar “investment”, exposing frauds, reporting on pumper lies, and debunking guru rubbish. When I started writing the expectation of a historic windfall to speculators was palpable, and very few seemed willing to jump on board with me, but slowly the sentiments have turned until now I truly believe the trend has reversed itself. People are getting facts rather than hype, and are waking up to reality by the tens of thousands. Among the holdouts though, are the innumerable devotees who are convinced that this big RV will happen despite all of the numbers, facts, and documentation that I (or any other guru-buster) provide. 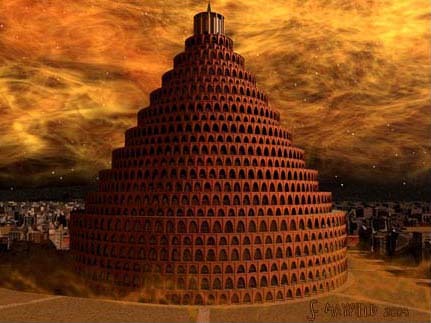 The reason is usually this ….. Iraq is the location of the ancient city of Babylon, and they have been told that Babylon must be rebuilt in order for bible prophecy to be fulfilled. In order for that to happen, Iraq needs a valuable currency, so the dinar must revalue. With that reasoning in mind, I’d like to approach this subject from a different angle. Why do people believe that Babylon must be rebuilt? The answer in most cases is remakably similar to the situation with the dinar – GURUS! You see, the church world is crawling with self-professed experts on bible prophecy who have proven to be wrong time and time again. In 1970 Hal Lindsey wrote a book entitled “The Late, Great, Planet Earth” which ignited an incredible interest in bible prophecy by addressing current events and stating that they were somehow linked to bible prophecy. This was the height of the cold war and the nuclear arms race, and people were on edge about the possibility of mutually assured destruction from a nuclear conflict. That book went on to sell 30 million copies, and prompted dozens of imitators who attempted to cash in on the popularity of the topic. Lindsey claimed that a biblical generation was 40 years and the modern nation of Israel was created in 1948, so he concluded that 1988 was the cutoff date. His subsequent book “Countdown to Armageddon” included his belief that the 1980s would see unprecedented tribulation and international chaos. In fact the global economy did quite well in the 1980s, and the decade ended with the collapse of the Soviet Union. I’m not trying to pick on Hal Lindsey here. There are plenty of other bible prophecy teachers who have an equally poor track record, but I don’t think anybody was more influential in embedding these misconceptions into the minds of evangelicals. Having said that, Hal Lindsey was never one to take the rebuilding of Babylon to mean modern day Iraq. He always subscribed to the theory that the Babylon of bible prophecy is the revived Roman Empire, which would make the city of Rome the modern Babylon. In fact many bible prophecy teachers have concluded that the prophetic references to Babylon in the New Testament were referring to Rome, and with good reason. Peter referred to Rome as Babylon in his first epistle. Others have taken the view that Babylon is a reference to Jerusalem, and still others consider it to be a reference to New York City or Wall Street to represent the world’s financial system. Some have no concrete view on who Babylon is, but they insist that it will not be the literal city of Babylon. Others however, insist that these references to Babylon are to be taken literally. As you can see there is no consensus on how to interpret the references to Babylon. But let’s just assume for the sake of argument that the references are to be taken literally. Does that mean that this is being fulfilled today with the GOI and the dinar? Couldn’t things change drastically? Suppose the recent incursion of ISIS into Iraq is a precursor to a revamping of Iraq and its currency. Or suppose the GOI recovers and fends off the radicals. They could still replace the IQD with a new dinar as they have stated they will on numerous occasions. You see, even a literal interpretation of the references to Babylon doesn’t mean that the IQD will go up in value. It’s a bad idea to invest money based upon the interpretation of bible prophecy by so-called prophecy experts. Just as with the dinar, there are prophecy teachers who are confusing and misleading people for their own gain. Recently noted prophecy authors Perry Stone, Sid Roth, and John Hagee were promoting the “Blood Moon” theory on the lunar eclipse. This theory is thoroughly debunked in the video below. Perry Stone claims to have studied the bible for 80,000 hours. He’s 54 years old, so let’s assume that he started studying at the tender age of 10. That’s 44 years. If we divide 80,000 hours by 44 years we come up with 1818 hours a year. Divide that by 365 and you get about 5 hours a day every day for 44 years. That include school days, work days, sick days, holidays … you name it. And that’s assuming that he started at 10. Does this sound like a guru exagerration to you? John Hagee is a very controversial figure. Among other things he claims that terrorists will disable the electric grid in the US with an electromagneticpulse bomb. Both of these guys have sold millions of copies of their books that are full of hype, fearmongering, and bad theology. I could name several others who have capitalized (literally) on the popularity of this topic, but suffice it to say that in my opinion 90% of what you hear from bible prophecy “experts” is bunk. I’ve said all along that you should do your own research on the dinar rather than listening to gurus. Well now I will say the same thing regarding bible prophecy teachers. I know that bible prophecy seems confusing at first, but I promise you with a little effort you can start to make sense of it. For that matter all of your spiritual needs are too important to entrust to some spiritual guru. It’s okay to learn what you can from bible teachers, but do your own research to see if their teaching stands up. After awhile you’ll be amazed at all of the religious BS you’ve uncovered.